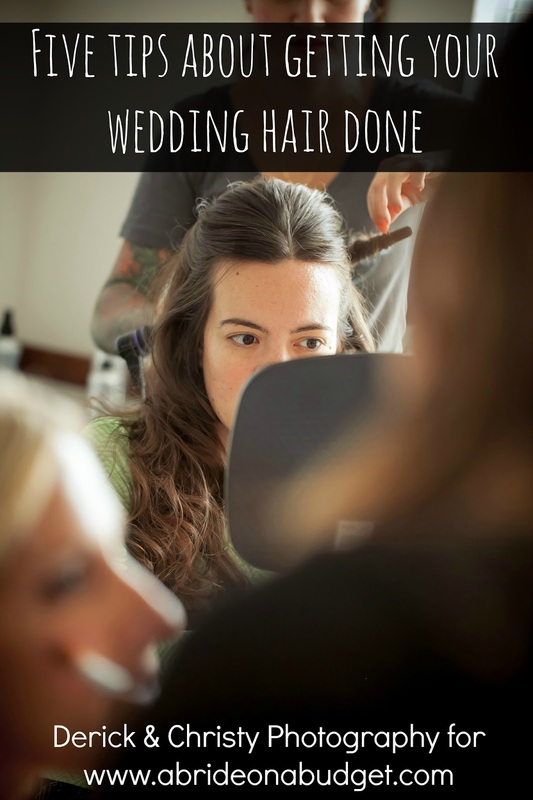 When I can't sleep, it's because my mind is racing with wedding thoughts. 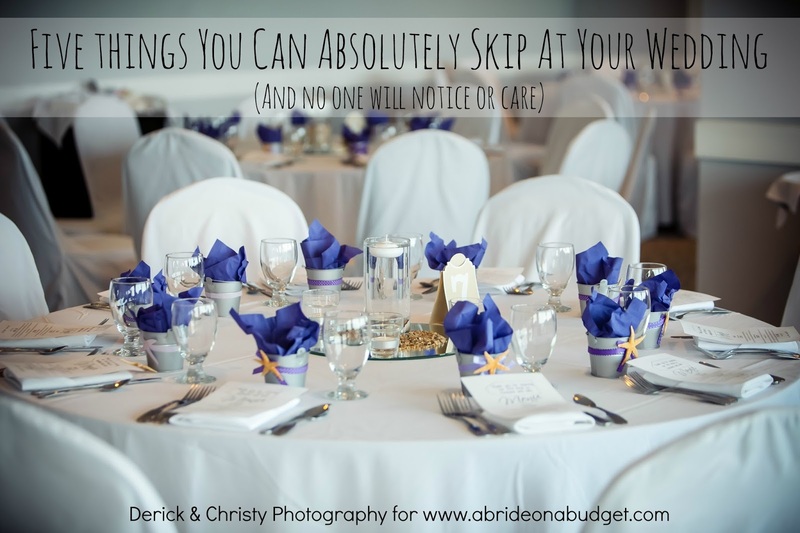 To quell them, I go on Pinterest and scroll through wedding ideas. It's like a bedtime story. When I was scrolling through, I pinned a bridal shower favor idea that someone had originally pinned from PSJBoutique on Etsy. Yesterday, our Internet went down at 2pm and was down a dozen hours before I went to bed. 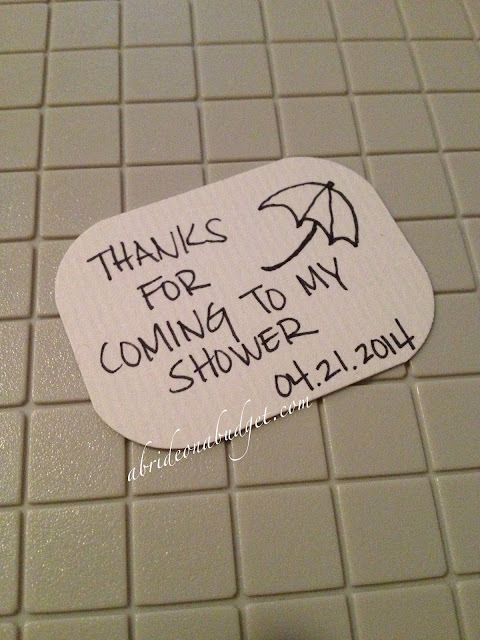 So, during that time, I decided I would recreate the shower favor. It was so easy, plus I used items I already had in my home. 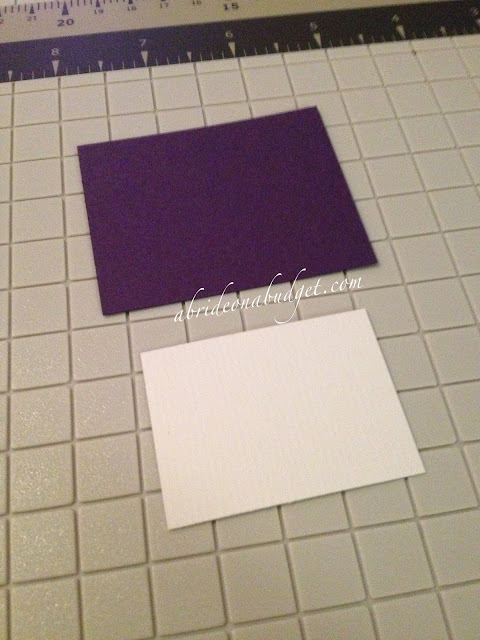 Cut two pieces of cardstock with a paper trimmer. The colored sheet is 2 x 2.5 and the white is 1.5 x 2. 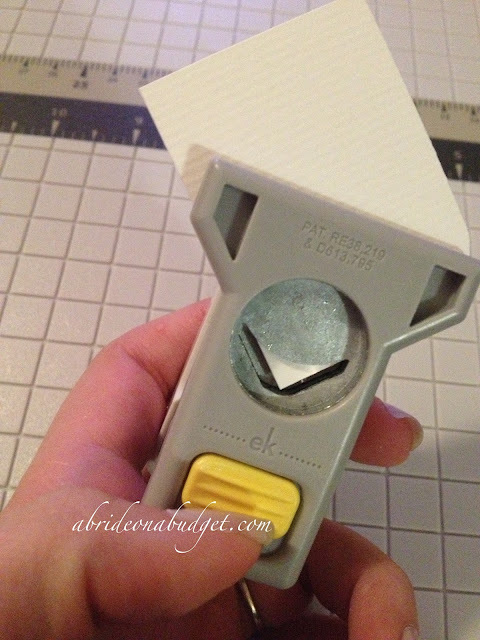 Use the corner rounder to cut the corners. Do this for both rectangles. It just adds such a professional touch when your corners are round. Thanks for coming to my shower. From my shower to yours. Had a nice shower? Have another! 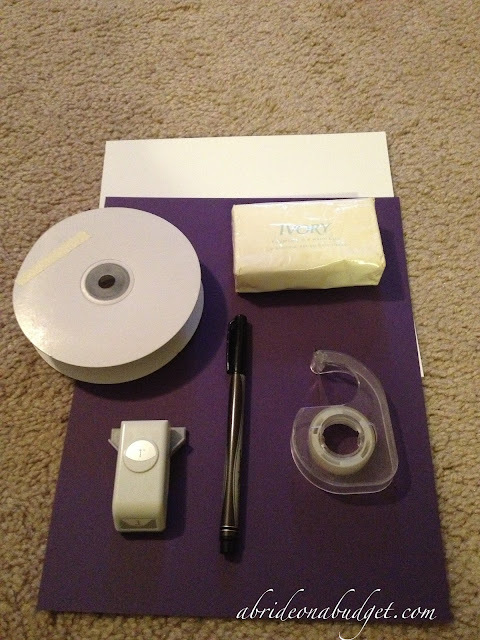 Tape the white cardstock to the purple. Tape that to the ribbon. 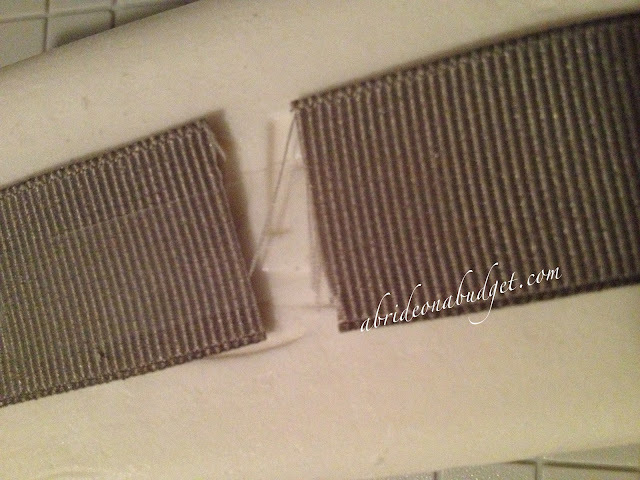 Run the ribbon the length of the soap and tape it together in the back. It's okay if your ribbon is a little short. It's just the back. If you want to make them even easier, you could print out the saying so you don't have to hand write it every time. I think handwriting makes it a little more personal, but it's up to you. 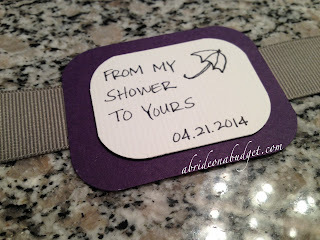 These are super cheap, super easy, and will definitely make a cute impression at a shower. 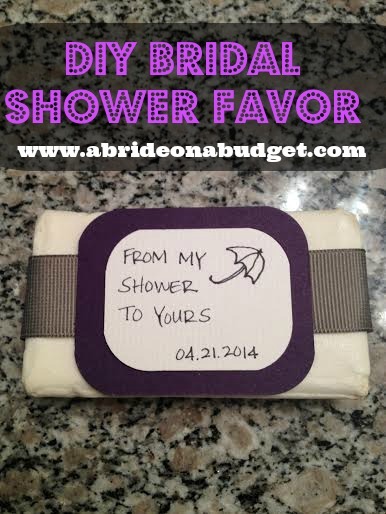 BRIDAL BABBLE: What saying would you write on the front of this bridal shower soap favor? Those are such really cute ideas Cheryl! I really like them and wish I would have gotten recipes at my shower. I think they didn't do it because I don't cook hahaha. SO stinking cute!!! 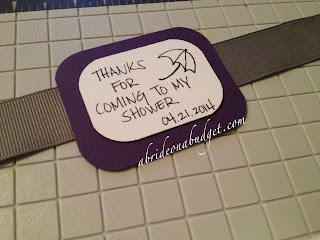 I wish I would have thought to do something like this at my shower (nearly 5 years ago now, yeesh)! Great idea - love how simple yet cute it is! LOL! So cute and apropos ! 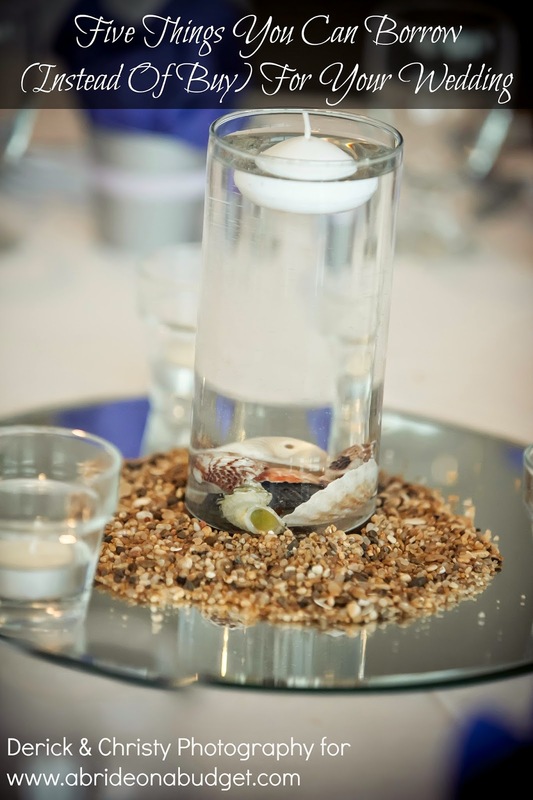 Thanks for sharing @ #HomeMattersParty ! 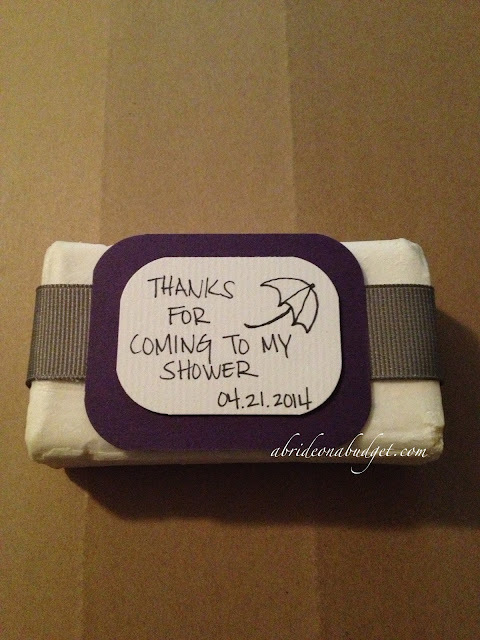 Very sweet idea for a shower favor. I so appreciate you sharing this at DI&DI.